TURN WIRE COILS INTO PERFECT JUMP-RINGS HOLDS WIRE COILS WITH 4.5MM TO 9MM OUTER DIAMETER ST.. Knot Cutter 125mm The BEADSMITH. Made in USA. 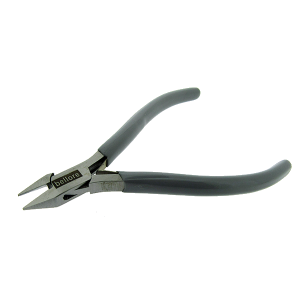 Ideal for cutting the thread, cotton cord, leather tho..
Memory Wire Cutter 125mm. *SALE WHILE STOCKS LAST*..
Straight Jaw End Cutter with Box Joint 120mm The BEADSMITH PLATINUM series. The BEADSMITH PLATIN..
Ultra Flush Cutter 135mm The BEADSMITH. Made in Italy. ..
VINTAJ 7'' Metal Shears. Features 1.5'' long straight cutting blades. ..
XURON Double Flush Cutter, up to 1.2mm soft wire.This shear gives square ended cuts on both the cut ..